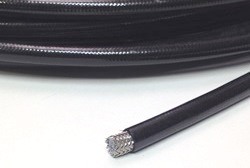 Manufactured using the highest quality PTFE polymers, Paragon Performance Medium Pressure Stainless Steel Braided PTFE hose meets SAE standards and is used for industrial applications requiring high temperature or transfer of caustic fluids. 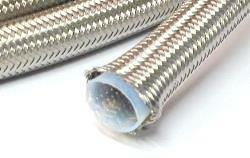 Our hose is FDA approved for food grade and pharmaceutical processing. 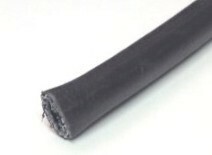 This hose is also great for marine applications and fiberglass resin transfer applications. 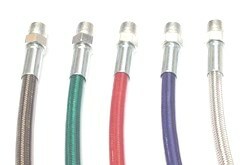 All our hose is manufactured in the USA! 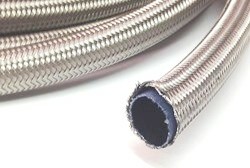 Please Note: Stainless steel braided hose of PTFE is used with permanently attached end fittings, either crimped or swaged onto the hose. There are also a limited variety of reusable fittings than can be used on the hose in the field without the need to crimp or swage. If you plan to band-clamp your end fittings onto a stainless steel braided hose, you need our HIGH PERFORMANCE PUSH-ON FUEL LINE HOSE instead.